Constantly at the cutting edge of creativity, Karl Lagerfeld likes to work with talented partners. For this first collection under the KARL LAGERFELD brand, John-Paul Welton, creator of perfumes based in Grasse, captured the very characteristic world of the fashion house, expressing it in olfactory terms. 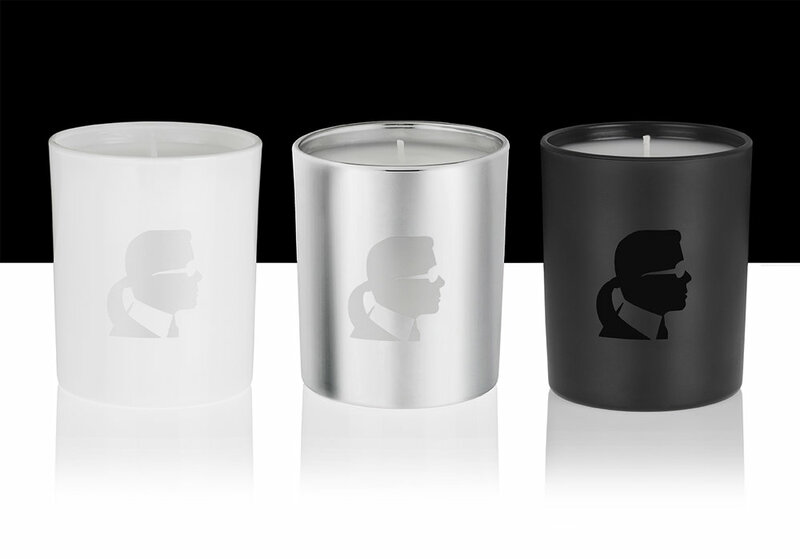 The ensuing three scented candles give the interior a very unique touch, in tune with the image of the famous designer. 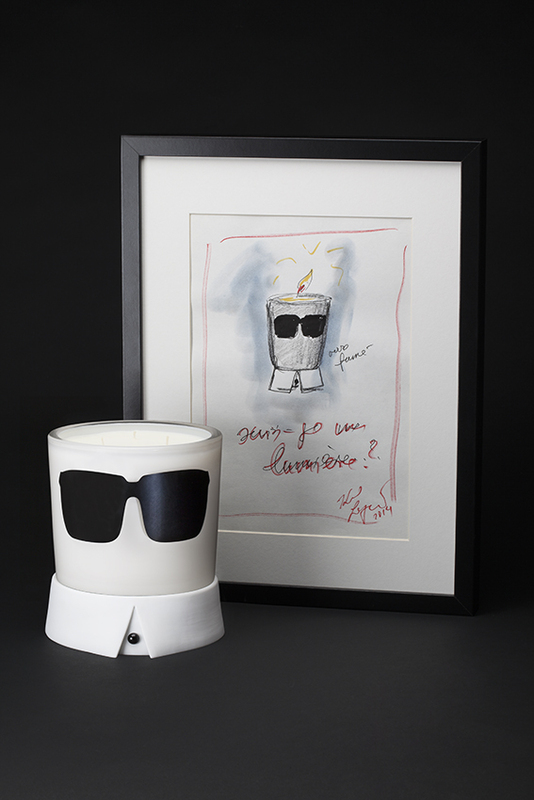 Karl Lagerfeld and perfumer John-Paul Welton joined forces to launch this unusual object whose starting point was, as for any fashion event, a sketch signed by its creator. The candle was shaped to become a unique design feature with a delicious fragrance. A nod to Karl Lagerfeld’s quintessential appearance, it is dressed with glasses and his now iconic collar. 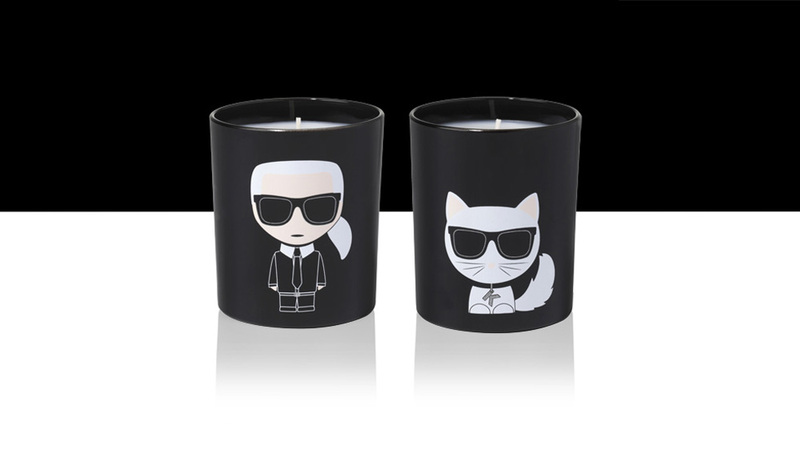 The adorable and famous Choupette now has her own candle. Karl Lagerfeld and perfumer John-Paul Welton have imagined a refined and elegant delightful scent. This spicy fragrance full of contrasts oscillates between prickly and delicate notes, unveiling in its delicious trail a new facet of Karl Lagerfeld’s personality. Who could resist “Candle Choupette” !